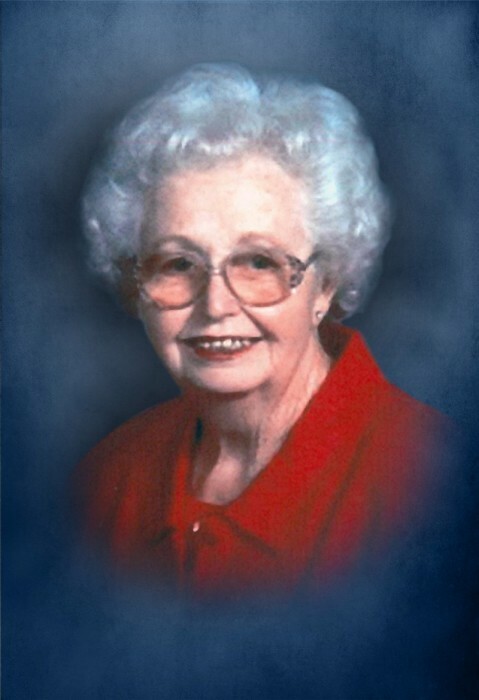 Sylvia “Colleen” Rutherford Gwaltney, 86, of Wylie, Texas, passed peacefully into her heavenly home on Sunday, August 26. Funeral services will be held on Saturday, September 1 at 10:00 AM at Don Grantham Funeral Home Chapel with Rev. Craig Rutherford officating. Interment will be at Resthaven Memorial Gardens in Duncan, Oklahoma Visitation will be held on Friday from 5:00 PM -7:00 PM. Colleen was born June 3, 1932 to John Cambrue Rutherford and Retha Belle Perkins Rutherford in Van Buren, Arkansas. She moved to Duncan when she was about 18 or so and worked as a cashier and bookkeeper at the Piggly Wiggly. She met and married Troy William “Bill” Gwaltney, Jr. in Duncan, Oklahoma on July 11, 1953. She was a stay-at-home mom and as she would say, “took in sewing” for extra money. She worked in retail for a short time at TG&Y and McCory’s. She started her alterations business and kept working well into her 70’s. She was a member of the First Christian Church in Duncan. She loved to sew, garden, and bake. She moved to Wylie, Texas in October 2014. She is survived by: sons, Garry Gwaltney and wife Donna of Blanchard, Oklahoma; Rick Gwaltney and wife Carmen of Lawton, Oklahoma; daughter Tracy Gwaltney Flies and husband Alan of Wylie, Texas; brother Jay C Rutherford of Cordell, Oklahoma; sister Lorene Black of Cordell, Oklahoma; seven grandchildren, 19 great grandchildren and many nieces and nephews. Colleen is preceded in death by her parents: John and Retha and step father Henry Osborn; siblings: Grace Rutherford, Jim Rutherford, and Calvin Rutherford; and grandson Michael Gwaltney. Pallbearers will be Ryan Gwaltney, Meredith Townsend, Kyle Flies, Garry Gwaltney, Charley Gwaltney and Michael Taylor.